Yesterday was the Dette Trout Flies Partridge Days Show at the Catskill Fly Fishing Center and Museum. 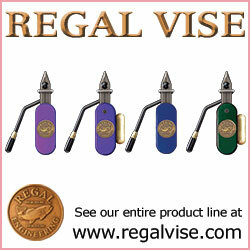 It’s always a fun show as many of them are, and you get to see “the usual suspects” behind the vise! 😂 Which is awesome because it translates into laughing, Sharing patterns and tying tricks; and talking to many new people coming in the door. But Every time I tie at show I tie something different, and I do it for a few different reasons. Boredom? filling up my own boxes? Inability to sit still? 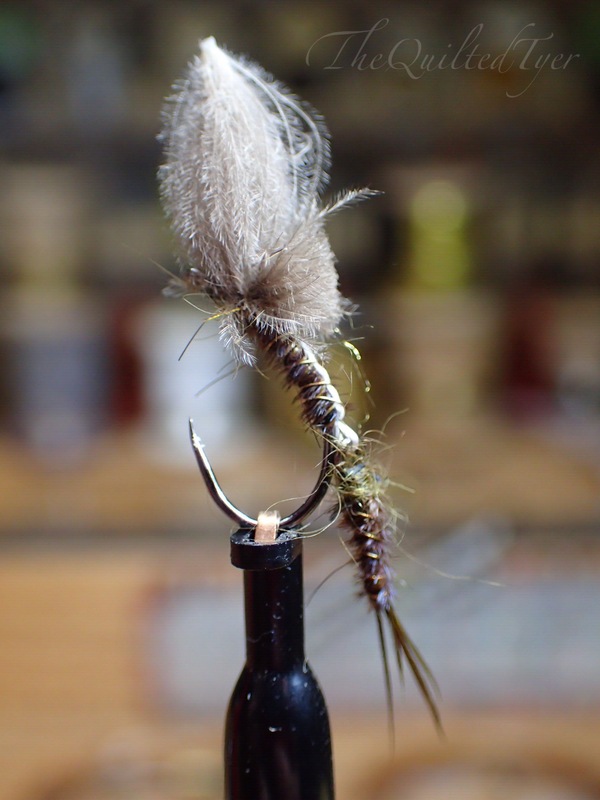 Tying for a Project healing waters trip? Trying something new that I can see in my head but haven’t put to a hook yet..? But Before I walked out the door I had a better idea, and grabbed a pack of CDC oily puffs. And the entire drive up all I could think about was I couldn’t wait to get there and turn those wiggle nymphs into emergers! An oily puff is different than a standard CDC feather and when Tied in backwards, leaving the feather stem intact it looks somewhat like an Elvis pompadour! Tied in this manner the CDC oily puff will also hold an air bubble inside of it which helps with buoyancy. An emerging insect makes quite a scene when trying to break free of its shuck. It swims as fast as it can towards the surface and as it drifts back down it will once again fight on its way back up. While fishing you will see them floating past you in an erratic up and down motion. 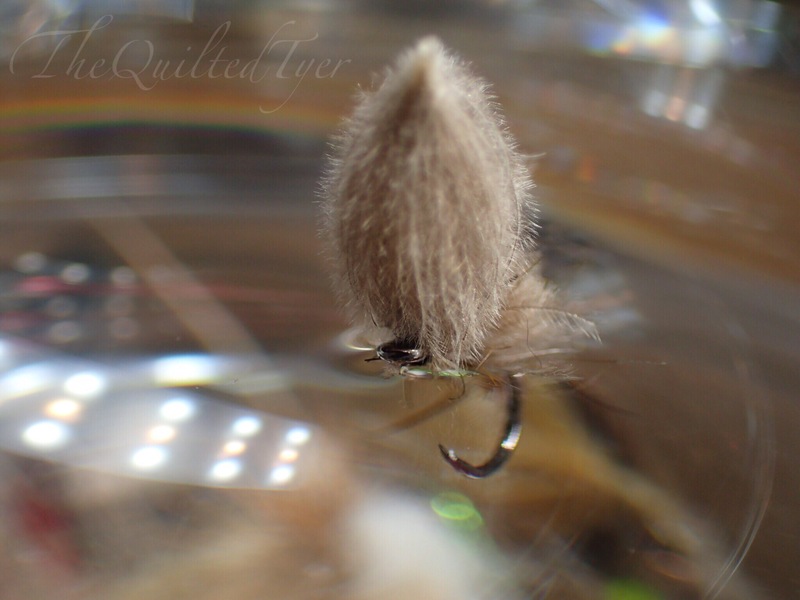 This is also why soft hackles are such great fish catchers during a hatch! Once reaching the surface of the water it splits open its back and climbs out..all while floating in the surface film. Its upon that escape that they transform from nymph to adult. But its a race against time! This is a very vulnerable time as The shuck is left sub surface, while the internal insect wiggles free and crawls out so that it can escape the prying eyes of a hungry trout. And All that ruckus seen from below will usually trigger a trout to take a closer look. Other emerging insects such as an isonychia tend to crawl out on to the rocks to transform, but even so.. they still have to get there! So this pattern with a white stripe is another option. 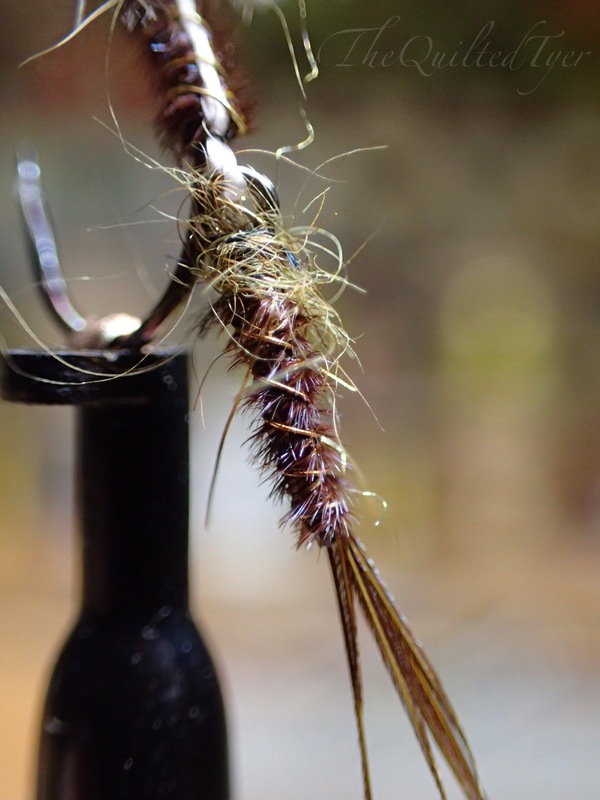 Many emergers I have fished work fine with out the extra movement from a wiggle shank tail. But every so often when they do stop working.. this may be just what triggers that missing strike. Other mayflies dont emerge at all. They get to the surface film and thats as far as they go. and While floating along in the current at the top of the water, a trout nabs them. Either way, they’re lunch! Or dinner depending on what time you’re fishing. I look forward to experimenting and fishing with these more and hope this post inspires you to tie something a little different! A step by step for this pattern can be found here! Love your fly floating pic! Now I don’t feel so silly when I tell people they only time I fill my bath tub up, is to drag flies through the water to see how they sit! Hahahah!! I’ve done that was streamers don’t feel weird it’s the best way to see how they work!